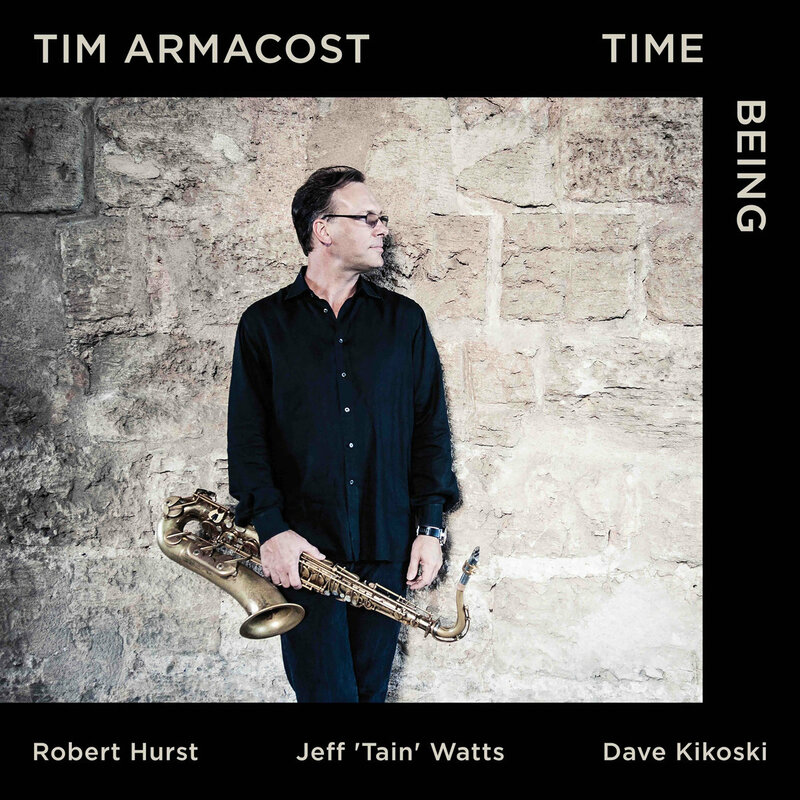 At its heart and soul, the new recording from tenor saxophonist Tim Armacost, "Time Being" (Whirlwind Recordings), is a saxophone trio album. Recorded at drummer Jeff "Tain" Watts' home studio in Pennsylvania, the session features the saxophonist in musical conversations with Watts and bassist Robert Hurst - pianist Dave Kikoski shows up on several tracks as well but it's the trio cuts that initially capture one's attention. The program opens with "Alawain" (one of nine originals among the 11 tracks), an up-tempo piece that moves forward on the power of the bass, drums, and the saxophonist's powerful melody. One is immediately entranced by the interactions as well as the clean sound quality: it feels as if you are sitting alongside Watts as he dances around his kit. The title track is next, a ballad that slowly picks up tempo thanks to the powerful bass lines and the often funky as well as swinging drums. It's a surprise when Kikoski's piano nudges its way in on "Sculpture #1: Phase Shift", moreso that he does not stick around but immediately steps back. He's much more part of the lovely ballad "The Next 20", although he leaves plenty of space for Armacost to present the melody and for Hurst to offer fine counterpoint and for Watts to show how versatile he is with his brushwork. The piano solo rises out of the sax spot, a pleasing melodic exploration with tines of the blues exposed in every phrase. For this listener, it's the trio tracks that keep me coming back. The brilliant up-tempo take of Ornette Coleman's "Lonely Woman" and how the piece grows from the initial bass and sax interaction, prodded by Watts' double-time drumming. Armacost never rushes even as the rhythm section pushes alongside him. The three musicians swing delightfully through Thelonious Monk's "Teo", urged on throughout by Watts' joyous playing. The album closes with the anarchic "Sculpture #3: All the Things You Become in the Large Hadron Collider" - along with Kikoski, the trio really do sound as if they are various particles moving in and around each other, occasionally bumping into one or the other, getting into sync as the music reaches its conclusion. It's a humorous idea that is also quite musical. 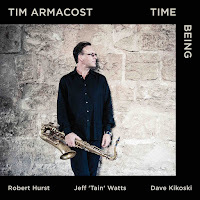 Tim Armacost, who may be best known for his work with the New York Standards Quartet, has soaked up numerous influences over his career and come out his own man. "Time Being" is filled with intense interactions yet rarely, if ever, feels frenzied or even rushed. It's easy to get "lost" in this music and so much fun to hear musicians really "play"; that playful quality is what stands out the most and is so satisfying. For more information, go to music.whirlwindrecordings.com/album/time-being. 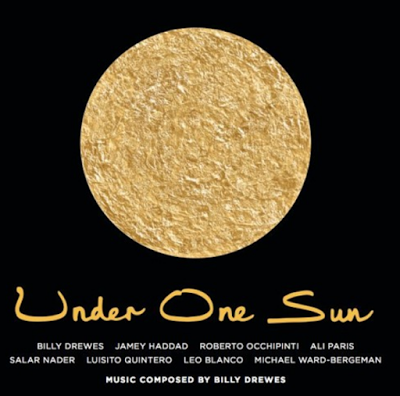 Under One Sun is the collective name for an octet formed by drummer/ percussionist Jamey Haddad (Paul Simon, Dave Liebman): its self-titled debut album was recorded at the Oberlin (College) Conservatory of Music (where Haddad teaches) and features the music of saxophonist Billy Drewes (tenor and soprano saxes plus clarinet, bass clarinet, C flute and alto flute) who the percussionist met in the rehearsal studios of Berklee College in 1972. 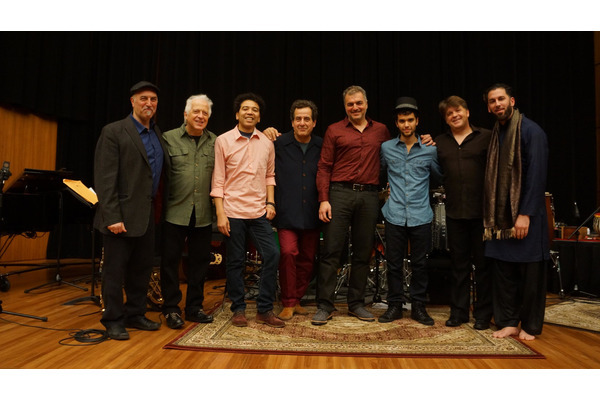 The ensemble features a fascinating array of musicians including Ali Paris (qanun - box zither, voice), Salar Nader (tabla), Luisito Quintero (congas, timbales, percussion), Leo Blanco (piano), Michael Ward-Bergeman (hyper accordion), and Roberto Occhipinti (acoustic bass). The music they create is as fascinating as the different instruments, music that is melodic and rhythmic as well as emotionally strong. Drewes, whose credits include the Thad Jones/Mel Lewis Orchesta, the Vanguard Jazz Orchestra, Bill Frisell, the Alvin Ailey Dance Theater, Paul Motian, Fred Hersch, and many others, has created a program of music that shows not only his studies in Brazilian and Indian music but the influence of blues and big band sounds. While one is tempted to tout the virtues of every track, it's more fun to let the sounds soak through you, to make up your own mind, to enjoy how the disparate sounds of qanun and soprano sax intertwine and interact, how the voice of Paris evokes so many different memories, and how the percussion makes you want to turn up the volume and dance. Drewes (pictured left) has composed several stunning ballads on the album. "Tinker" moves gently atop a cushion provided by tabla, bass and trap drums with the saxophonist, accordion, and voice sharing the melody. "For Those We've Known" opens with a sweet melodic tenor saxophone melody over piano, bass, and drums and stays with that formation, each musician with the exception of Haddad contributing a fine, heartfelt, solo. The influence of Maria Schneider is heard clearly on the final two tracks. "High Above" features the octet and is built off a gentle melody, each voice moving in and out of the spotlight. That melody and subsequent interactions are reminiscent of several of Ms, Schneider's pieces that are informed by her interest in the songs of birds. With the addition of a brass quartet (trombonist Lee Allen, tuba player Miguel Santos, trumpeters Olivia Pidl and Wyeth Aleksel), the final track "Ode to Brigadoon - A Path to All" is a lovely coda, wistful, poetic, and soothing. 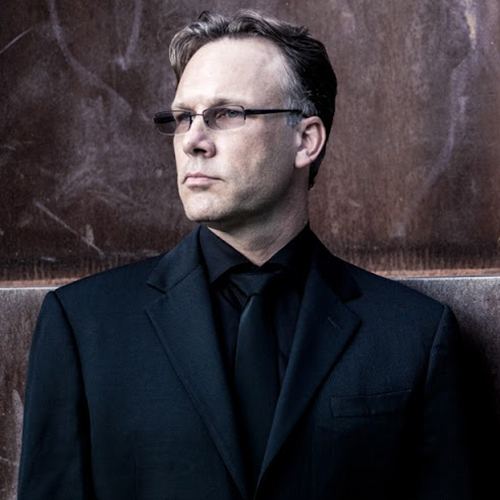 Drewes' gentle clarinet over Ward-Bergeman's accordion brings the melody to the forefront, a melody that is then amplified by the piano, voice and brass. Stunning, life-affirming, this music resonates long after you put the CD back into its case. 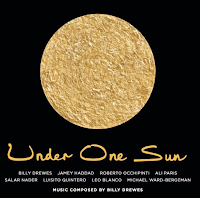 At nearly 72 minutes, "Under One Sun" offers so much music and shows listeners how sounds of different cultures plus intelligent melodies can come together to make a unified statement. If these voices can rise as one, can there not be hope for peace in a fractured world? I do not know about that but this album, this music, these performances, certainly made my day so much better. For more information, go to jameyhaddad.com. If you are old enough to remember 1968, you know how terrible a year that was. The assassinations of Dr. Martin Luther King and Presidential candidate Robert Kennedy, the continuing escalation of the war in Vietnam, the horrific events in Chicago during the Democratic Convention, and more threw the United States into turmoil. Some pundits believe that 2017 is the equal but we need time to pass and time to reflect before making that statement. For six months of that year, Jack DeJohnette sat in the drum chair for the Bill Evans Trio. He had spent several busy years touring with saxophonist Charles Lloyd as well as Betty Carter but jumped at the chance to play with the pianist. Up until several months ago, there was but one recorded document of that trio: "Bill Evans at The Montreux Jazz Festival" was issued in the fall of that year on Verve Records and even won a GRAMMY in 1969. Turns out that the Trio twice more in the next week. Earlier this month (September 2017), Resonance Records issued "Some Other Time: The Lost Session from the Black Forest" recorded in Germany five days after the Verve recording. Now, the label presents "Another Time: The Hilversum Concert" recorded in front of a live audience on June 22 1968 in the studios of Netherlands Radio Union. Of the 20 tracks on the "..Black Forest" CDs, only two are repeated here (same with the "...Montreux" album) which, to these eyes, shows how big a repertoire Evans had in those days. Bassist Eddie Gomez stands out on all three albums but especially on the "...Hilversum" set as his big tone, melodic lines, and unerring swing enliven the faster pieces and give just the right punch to the ballads as well. One can hear how much Stanley Clarke's acoustic bass work is informed by Gomez. He works well with DeJohnette (they would work together again in the 1980s); you can tell they trust each other as does Evans and these piece never are staid or rote. Evans is in good voice throughout as well and these tracks seems to have a liveliness that the album recorded two days before had in fits and starts (that written, "The Black Forest" sessions allow the pianist to be more expansive at times). Check out piece such as the CD opener 'You're Gonna Hear From Me", "Embraceable You", and the rapid-fire "Five" that closes the concert: all have such a playful quality, a buoyancy and lightness that is so appealing. 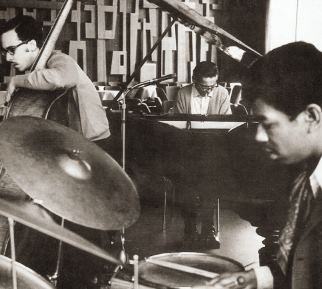 By the end of the summer, Jack DeJohnette was invited to play with Miles Davis and Marty Morell took his place, staying with the Trio through 1974. 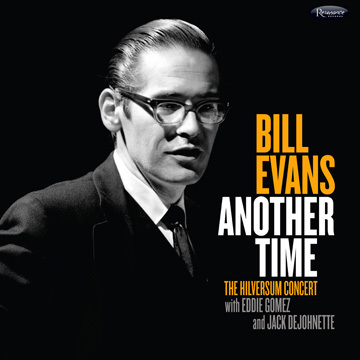 Eddie Gomez ended up spending 11 years (1966-77) alongside Bill Evans recording numerous Lps in trio, duo, quintet, and even orchestral settings. The pianist's addictions finally caught up to him in September 1980 and he died at the age of 51. He played and recorded up until a week before his passing; in fact, many critics and fans felt that his final recordings with the rhythm section of Marc Johnson (bass) and Joe LaBarbera (drums) rank up there with some of his early successes. 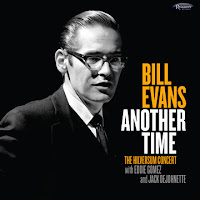 No matter which side you fall on in there arguments about the best recordings by Bill Evans, "Another Time: The Hilversum Concert" is a delightful, musical journey. 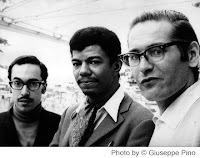 While the songs might not reflect the insanity of the times, the interaction and musicianship of Bill Evans, Eddie Gomez, and Jack DeJohnette shows us all how much good it is and how much fun it can be to work together. For more information, go to www.resonancerecords.org/release.php?cat=HCD-2031. What to do, where to go, so much good music all around me - deep breath Okay, Autumn officially starts this week and the concert venues around the state are already cranking up. I is actually was a fairly busy Summer but now the choices are even more numerous. After a number of great concerts in July and August, I'm itching to get out and hear some live music. Let's start on Friday in Old Lyme. The Side Door Jazz Club welcomes Matt Wilson's Honey & Salt for an 8:30 p.m. performance (actually, there are two sets). 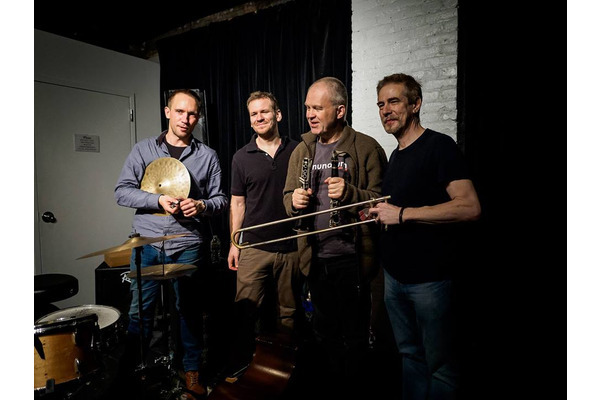 The Quintet - composer and drummer Wilson, Dawn Thomson (guitar, vocals), Jeff Lederer (all sorts of reeds), Ron Miles (cornet), and Martin Wind (acoustic bass guitar) - gets its name from its new album, a recording that celebrates American poet Carl Sandburg (1868-1967). The recording is a delightful pastiche of styles, from raucous jazz to country 'n' western to blues to rock and so on. The ensemble has been touring for the past month or so and been getting great receptions wherever they perform. To reserve and/or buy tickets, go to thesidedoorjazz.com or call 860-434-2600. To learn more about the Sandburg project, go to www.mattwilsonjazz.com. Also on Friday, the Firehouse 12 Fall 2017 Concert Series continues with the Frode Gjerstad Trio with special guest Steve Swell. 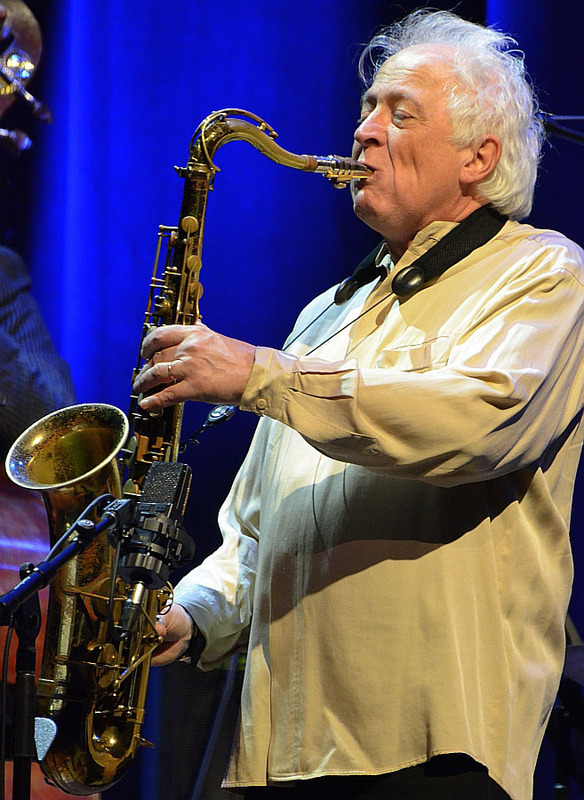 Alto saxophonist Gjerstad (he also plays clarinet) has been on the European Free Jazz scene since the late 1970s and is one of the more fiery players around. The rhythm section, drummer Paal Nilssen-Love and bassist Jon Rune Strøm, match the leader's intensity and often help to keep the fires stoked. 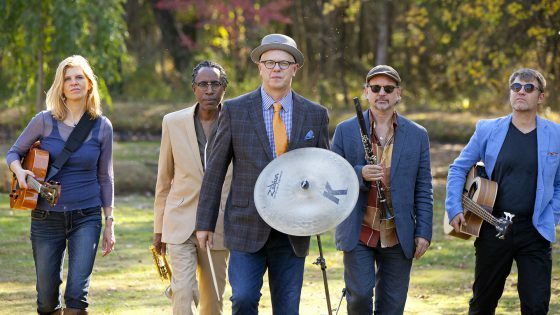 Trombonist Steve Swell joins the Trio on occasion for tours and recordings, bringing his unique approach to the instrument and music, one that he has developed from his associations with Bill Dixon, Anthony Braxton, and William Parker. The band plays two sets - 8:30 and 10 p.m. - and there is a separate admission for each one. Firehouse 12 is located at 45 Crown Street in New Haven. To get tickets, go to firehouse12.com or call 203-785-0468. 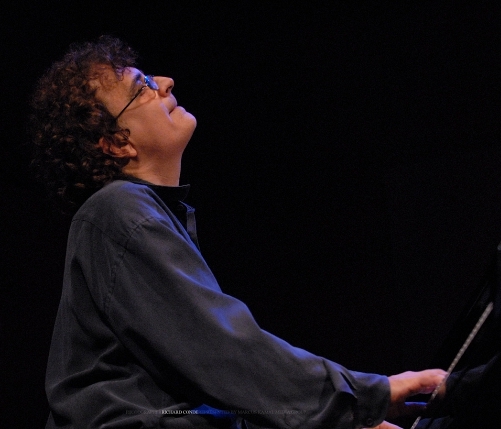 Pianist and composer Laszlo Gardony returns to The Buttonwood Tree, 605 Main Street in Middletown, on Saturday (9/23) at 8 p.m. for a concert of solo piano music. Professor Gardony, who is on the faculty of the Berklee College of Music in Boston, is a frequent visitor to The Buttonwood. He's back this time to celebrate the release of his latest Sunnyside Records album, "Serious Play", a delightful collection of works including a number of originals and standards such as "Georgia on My Mind" and John Coltrane's "Naima." The pianist pays with great fire, great emotion and a love for melody. For ticket information, go to buttonwood.org/event/lazlo-gardony-cd-release-concert/ or call 860-347-4957. To find out more about the pianist, go to www.lgjazz.com. Bassist, composer, and curator Carl Testa is bringing the Uncertainty Music Series to a close this weekend with a Farewell Festival. And it take place in the delightful sound space of Firehouse 12. 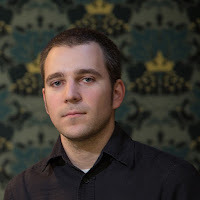 On Saturday at 8:30 p.m., the Series presents Jeremiah Cymerman's SYSTEMA MUNDITOTIUS with Matt Bauder, Patrik Holmes, and Aaron Novik plus a set by a collaborative ensemble featuring Anne Rhodes, Chris Cretella, Forbes Graham, James Ilgenfritz, and Adam Matlock. Sunday, the show starts a 7:30 p.m. with Electronic Music by Val Inc. plus a set by a collaborative ensemble featuring Erica Dicker, Louis Guarino Jr., Junko Fujiwara, Andria Nicodemou, and Carl Testa. For ticket information, go to uncertaintymusic.com or firehouse12.com. Carl Testa ran the Uncertainty Music series for 10 years, bringing musicians from all over the world to play music that challenged our stereotypes and made us listen with new ears. The series will be sorely missed! Finally, on Saturday night, The Side Door Jazz Club welcomes guitarist and composer Dave Stryker and his Quartet. Stryker's new album, "Strykin' Ahead", (issued on the guitarist's own Strikezone Records) is a delightful mix of blues, swing, and bebop: he's bringing two of the musicians, organist Jared Gold and the delightful drummer McClenty Hunter to the Old Lyme venue. Sitting in on vibraphone will be Monte Gold who's taking the place of Steve Nelson. The band hits the stage at 8:30 for the first of two sets. Go to thesidedoorjazz.com for more information. A Much Longer Hiatus Than Expected + Recommended Listening! Hard to believe that it has been 18 days since I posted a review or a concert preview or even a video. It's not that music hasn't entered my house and subsequently my ears. My lassitude has come about from the intersection of surgery and the beginning of school. The surgery, not life-threatening, took place in late July and the doctor/surgeon said that the recovery time was 8-12 weeks but that I could start school on August 28 as long as I paced myself, sat and talked with students instead my usual pacing around the room, and took the elevator up to the third floor as opposed to my usual taking the stairs. One of the side-effects of going back to the classroom somewhat early is that after my third class is over, I am quite tired. Still. That writ, music has been a constant companion of my "down" time. Fred Hersch's "Open Air" plus Australian pianist Tim Stevens's "Media Vita", both of which I reviewed in August (click here), have been filling the rooms of our house with their sweet, sometimes hard-edged, sounds. But there have been others and my recommendations are below - I may review them in depth when I can but, in the meantime, I can show you covers and give you links. I love poetry inspired by music and vice versa. 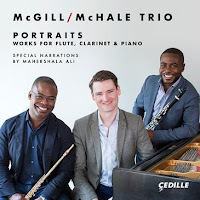 I saw the listing from Cedille Records for "Portraits: Works for Flute, Clarinet, & Piano", an album that features the McGill/McHale Trio playing music composed by Chris Rogerson, Guillame Connesson, Sergei Rachmaninov, Paul Schoenfield, Phillip Hammond, and the brilliant "Portrait of Langston" by Valerie Coleman, a 26-minute piece that features the poetry of Langston Hughes read by Mahershala Ali. I purchased the album from the label and am deeply moved as well as excited by the performance. To find out more, go to www.cedillerecords.org/albums/portraits-works-for-flute-clarinet-and-piano. Follow this link to hear a piece from the album: www.youtube.com/watch?v=nEQgqSqQXs4. I have reviewed several recordings by the duo of Eddie Daniels (clarinet) and Roger Kellaway (piano), all recorded since the turn of the 21st Century. Imagine my delight when Resonance Records sent "Just Friends", recorded live at The Village Vanguard one November night in 1988! Best of all, the two master musicians employ the delightful rhythm section of Buster Williams (bass) and the irrepressible Al Foster (drums). The co-leaders each contribute two compositions plus the classic title track (composed in 1931 by John Klenner with words by Samuel Lewis). Label head George Klabin found the tape of this music in his collection in 2016: amazingly, he had used a cassette recorder with one condenser microphone yet one feels like he is in the first row with the musicians a few feet away. The album will be released on September 29 and, believe me, the music will brighten your days and warm the house at night. For more information, go to www.resonancerecords.org/release.php?cat=HCD-2028.